Read the entire article on the Los Angeles Rams. In celebration of Teacher Appreciation Month, the Los Angeles Rams partnered with Educators for Excellence, a teacher-led non-profit organization, to recognize the dedication of LAUSD’s teachers at five schools located throughout the district including Charnock Elementary, Harry Bridges Elementary, Russell Elementary, San Fernando Institute for Applied Sciences and San Pascual Elementary. 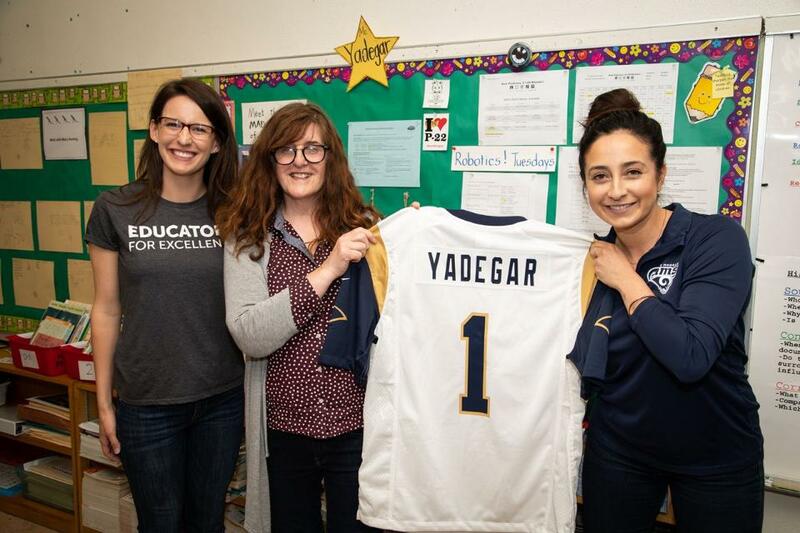 Members of the Rams front office staff visited these five LAUSD schools to show appreciation for local educators with a lunchtime celebration followed by classroom visits. To read the complete article, visit the Los Angeles Rams.